This is CME on ReachMD. This activity titled: Strategies for Improving Outcomes in Patients with Parkinson’s Disease, is brought to you by Albert Einstein College of Medicine and Montefiore Medical Center and MCM Education and supported by educational grants from Acorda, Biogen, Lundbeck, US WorldMeds, and Medtronic. Before starting this activity, please be sure to review the faculty and commercial support disclosure statements as well as the learning objectives. Your host is Dr. Andrew Wilner, Associate Professor of Neurology at the University of Tennessee Health Science Center. Parkinson’s disease, a progressive, neurologic disorder characterized by motor and non-motor symptoms, affects roughly 1 million Americans and more than 10 million people worldwide, which raises the question: What is being done to help minimize the debilitating symptoms experienced by these millions of patients every single day? This is CME on ReachMD, and I’m Dr. Andrew Wilner. Joining me today to discuss the latest advances in managing Parkinson’s disease are Drs. Michael Okun and Daniel Kremens. Dr. Okun, Dr. Kremens, welcome to our program. As you both know very well, Parkinson’s disease is often defined by its classic motor symptoms like tremor, rigidity, bradykinesia, postural instability and walking or gait problems. How are these symptoms typically addressed, and how is that approach evolving? Well, Andrew, it’s a really good question when a patient presents to one of our practices, we tend to look at them and assess what symptoms are affecting their quality of life, if any, and in many cases we will recommend that the patients exercise, which is now a first-line therapy among many experts, and consider therapy such as monoaminoxidase inhibitors and dopamine agonists and carbidopa/levodopa, or Sinemet, and we do this on a patient-by-patient basis. And so they tell us what their symptoms are, and then we tailor the therapy, and try to choose both the right dose of the medicine but also the right timing, and this changes as we treat a patient with Parkinson’s. Yes, I think one of the big concerns with Parkinson’s disease is that, as Michael pointed out, each patient is different and responds differently to the medicines. I think the mainstay for most physicians treating Parkinson’s disease is carbidopa/levodopa, which for 50 years has been still the best therapy for Parkinson’s disease. The issue with carbidopa/levodopa, though, is with time the medicine may not seem to work as well, it’s not that carbidopa/levodopa itself loses its ability to work for the patient. It’s just that the patient’s disease progresses and they have fewer cells left to respond to the medication, so we call that sensation “wearing off.” So, the patient initially might start their carbidopa/levodopa 3 times a day, but with time, the medicine may not last as long between the doses, and with that wearing off, we then have to try and do things like either add an adjunctive therapy, such as Michael pointed out, an MAOB inhibitor, or add a dopamine agonist or increase the frequency of the carbidopa/levodopa dosing. And this is one of the changes that we’ve had now recently with Parkinson’s disease in that there are some newer forms of carbidopa/levodopa that I think are pretty exciting options for patients. There is a new form of carbidopa/levodopa called carbidopa/levodopa extended-release capsules, or Rytary, and this is a form of carbidopa/levodopa that comes in a capsule, that contains beads that are a mix of instant-release traditional carbidopa/levodopa and then a proprietary extended-release form. And by using carbidopa/levodopa extended-release capsules you can prolong the benefit that the patient gets with the carbidopa/levodopa, extending it from the instant-release capsule to these extended-release forms of the medicine. For more advanced patients, now there’s even a form of carbidopa/levodopa that’s a gel form that’s administered through a pump. One of the major problems that people have with advancing Parkinson’s disease is that the gut doesn’t function as well, and since all of these medicines work through the gut, that can be a real problem, so if you have a form of carbidopa/levodopa that bypasses the gut, that can be a significant advantage, and that’s what carbidopa/levodopa intestinal gel, or Duodopa, is. It’s a gel form of levodopa that is put in through a J-PEG tubeinto the patient’s intestines, and it’s pumped in continuously for 16 hours over the course of the day, which can significantly reduce that wearing off or off time that we talked about, so this is another really exciting option for patients. It’s been available in Europe for over a decade but only recently in the United States. So, doctors, in addition to the drugs that you’ve mentioned, are there any new products coming along, anything investigational? There’s a lot of interest in drugs that might help a patient with a specific symptom or address an unmet need, and one that’s been pretty exciting for patients that we talk with is the idea of having a dopamine product that can be delivered through an inhaled mechanism, and so there has been a trial, CVT-301, that has looked at this as a potential for rescue, so when your dopamine wears off, you can take a puff, so to speak, of one of these inhalers. These therapies trying to deal with off periods are a really exciting thing, because this is a great unmet need for patients. And along those lines there’s another really interesting new drug called APL-130277, a form of apomorphine. Apomorphine is a very powerful but short-acting dopamine agonist. There is currently a form of apomorphine that is available to patients that is an injectable form of apomorphine called Apokyn where patients inject themselves and get about a one hour to an hour and a half of good on time. There is a new form of this drug now, this APL-130277, which is a sublingual strip. the patient places it underneath the tongue, and it releases the apomorphine sublingually where it’s absorbed and the patient gets the benefits of apomorphine. And for patients who are uncomfortable using needles, this might be a good option for them. With both CVT-301 and APL-130277, they have both had phase III trials that have demonstrated that they are able to turn patients on in a reliable fashion and give anywhere from an hour to 90 minutes or so of on time, so I think that these are really exciting, new therapies for patients who are experiencing off periods during the day. Dr. Kremens, how would you approach a patient who has responded well to levodopa but is now starting to experience marked dyskinesia and motor fluctuations? So this is always a challenge with our Parkinson’s patients. They do well with their levodopa, but with time, most of them, approximately 90% within 10 years, will experience dyskinesia. And to date, the medical approach has generally been centered on trying to manipulate the patient’s Parkinsonian medications, so most commonly what we try to do is manipulate the patient’s dose of levodopa by either reducing the dose or what we call fractionating the dose, which is to give smaller doses of levodopa more often throughout the day. Sometimes we even have to reduce the dose and then add an adjunctive therapy to it, so we might reduce the patient’s levodopa dose and add a dopamine agonist, and there’s some data that can be helpful; but unfortunately, almost all of those practices tend to increase both the off time and the presence of more Parkinson’s symptoms, so it may reduce the dyskinesia, but you pay the price in the motor symptoms. So what we’ve done to date is we’ve used a drug called amantadine instant-release, or amantadine IR, which is interesting because it’s a drug that’s not actually approved for dyskinesias, but it does appear to offer some short-term efficacy for dyskinesia. The problem is that it’s generally a drug that may be difficult for many patients to tolerate. It can cause some orthostatic hypotension in patients, it can cause some strange dreams in some patients, it can cause some limb swelling and some rash, and so these tend to limit our ability to really push the drug to the dose that may be most beneficial for patients. So, why would a drug like amantadine work—because amantadine is a glutamate antagonist, and so how would that work in a dyskinesia? And the answer is that the pathophysiology of dyskinesia is really complex and not, frankly, completely understood, but there is a strong body of evidence to suggest that dyskinesia involves at least in part some maladaptive changes in the glutaminergic, synaptic and neural activity in the motor circuits in the brain, so by using a drug such as an NMDA receptor, you can help control the dyskinesias. What we think happens is with continued disease progression and the changes in the neurotransmitter environment, glutaminergic and NMDA receptors upregulate and they bias the motor symptoms in a propensity that occurs with both off and dyskinesia. If levodopa is too low or dopamine is too low, you’re going to be off, but if it’s too high, you’re going to be dyskinetic, so antagonizing NMDA is a way to avoid both of those. So there’s a new medication that is an extended-release form of amantadine called by the brand name Gocovri, and extended-release amantadine has been demonstrated in phase III studies to both decrease dyskinesias, as measured on something called the Unified Dyskinesia Rating Scale, and decrease off time, which would help deal with those motor fluctuations, and it’s the only drug that’s been demonstrated to have that dual benefit of decreased dyskinesia and decreased off time. And this was approved by the FDA, and so we’re now able to use it in your clinics. Dr. Okun, would you like to add to that? Yes, just to add to the excellent comments by Dan, when we see patients who have dyskinesia and motor fluctuations, one practical tip that we always share with clinicians is this idea that the timing of the medication is as important as the dose or type, and so a lot of times you can address the wearing off by changing the time interval. And so with diseases—and Parkinson’s is a basal ganglia disease; it’s a cueing disease—it’s really important to stress the time and the administration and the consistency in being successful in managing your therapies. We also consider in patients that we just can’t quite get it right with the medications or the timing or the intervals the possibility of dopamine pumps, so carbidopa and levodopa intestinal gel or therapies like deep brain stimulation. The other thing that comes to mind, Michael, that you raised in addition to the timing of the medication is that some patients are very protein sensitive, meaning the area of the intestine through which levodopa is absorbed is also the area where dietary amino acids are absorbed, so if you have a meal that is protein-laden, it will compete with levodopa to get absorbed. So some patients are actually very sensitive to this, so if you have the patient adjust their levodopa timing so as to avoid proteins, so they should take it at least a half an hour before they eat or 2 hours after they eat, particularly with a protein-laden meal, for some patients that can make a big difference. Well, that’s a lot of information. Let me follow-up with another question. How are new and emerging classes of drugs addressing the challenges that patients face with older therapies? Dr. Okun, what are your thoughts? I think it’s really important to keep in perspective that although levodopa or dopamine replacement therapy is still the gold standard treatment for Parkinson disease, that we now understand, as patients are living good long lives and happy lives with Parkinson, that as the disease progresses, people will have challenges, and many of these challenges fit into the domains of difficulties with walking and balance, difficulty with talking and problems with thinking. And so, as we begin to think about what’s going to be the next generation of drugs and the next generation of challenges that we’re going to try to open that door and create some hope and also create some opportunity, these are the types of symptoms that many people are beginning to think about. Now, there are a number of very interesting things that have happened in the field, and so we have a number of drugs that are being actively repurposed—so these mean we have drugs that are on the market already, they have an FDA approval mark—like isradipine that, blocks the calcium channel, often used in our cardiac patients, a drug called inosine, which works on uric acid with the idea that higher uric acid levels slow progression of Parkinson, and this was a drug that has now been moved from the laboratory into clinical trials, and most recently a diabetes drug called exenatide, which was an injectable, glucagon-like peptide, or GLP-1 agonist drug, and it promotes insulin release and inhibits glucagon secretion—in preclinical studies have shown they may have some positive effects on Parkinson and perhaps even some effects on disease progression. We’ve also seen excitement in drugs like the anticancer drugs. And who thought that Parkinson patients would be banging their fists on the table and saying, “Give me a chemotherapy drug”? But there is one that has made it out into clinical trials, and there are several others that are in development. Nilotinib is that drug. It’s used commonly in leukemia patients. It’s a c-Abl tyrosine kinase inhibitor which is linked very strongly to Parkinson-associated pathways and to alpha-synuclein deposition, which is one of the bad players in the proteins that get deposited. We’ve also seen lots of innovation in gene-targeted therapies, so we see things with GBA-associated Parkinsonism. This is one of the genetic forms of the glucocerebrosidase GBA gene, and GBA mutations seem to be associated with accumulation of the GLCCER or promoter or alpha-synuclein accumulation and have earlier ages of onset, and so people have been interested in targeting this with gene therapies. We’ve also seen a phase II trial recently of a glucosylceramide synthase inhibitor, and that’s the GZ/SAR402671—that’s a mouthful—but this is a phase II trial that is also looking at gene therapy in the GBA population. And just to show you the interest in gene therapy, there’s another medicine called Ambroxol and then another agent called LTI-291, and so there’s great hope that this approach might be helpful. The other area that we have seen some movement in is in LRRK2, and LRRK2 is a kinase, and it is the most common genetic form of Parkinson disease. And there are a lot of people that are interested in getting into the trial of LRRK2 inhibitors, and there’s a first-in-human clinical trial DNL-201 that’s looking at this and a second compound DNL-151 with plans for biomarker and other studies. And this is the most common genetic form of Parkinson disease, and so these things, I think, represent a future that is quite interesting. And the last area are immune-based therapies, and we’ve seen alpha-synuclein amino therapies including a recent vaccine trial with the idea of can you raise your immune system up to clear out this bad protein and scrub the brain off, and this is an antibody type of trial where you inject and you try to get your own immune system to react, and it’s your own immune system that would then clear the antibodies. This has been tried in other diseases like Alzheimer’s disease, so it will be interesting to see how this works with the safety of what the approach will be and whether or not cleaning the brain of these proteins has a positive benefit. And finally, we’ve seen a couple of these studies of antibody infusion. where they actually infuse antibodies peripherally through a vein, through an IV, with the idea that these can act in a positive way against synuclein and provide potentially symptomatic benefit but maybe even benefits in disease progression. So, Michael, I agree with everything you said, and I just would add I think that there’s been so much evidence that’s been building that Parkinson’s disease may be a prion-like disease with alpha-synuclein acting like a prion, and now we have a real target, not just for symptoms, but as you said, disease itself. And the notion that giving someone a monoclonal antibody infusion against alpha-synuclein might be a way to stop disease in its tracks, and I think this is just such an exciting area for research and something that I’m really looking forward to see how it develops—early days to be sure, but just such exciting potential because this is treating disease, not symptoms. If you’re just tuning in, this is CME on ReachMD. I am Dr. Andrew Wilner, and today I’m speaking with Drs. Michael Okun and Daniel Kremens about the latest developments in Parkinson’s disease management. We spoke a bit earlier about what’s on the horizon for treating motor symptoms in patients with Parkinson’s disease, but now let’s shift over to the non-motor symptoms, which are important since Parkinson’s is often mistakenly considered a disease that only affects movement. So, Dr. Kremens, what do clinicians need to understand about these non-motor symptoms? Andrew, that’s a great question, it’s so important for people to realize that Parkinson’s disease is so much more than just tremor. In fact, 30% of people with Parkinson’s disease don’t have tremor at diagnosis; 15% will never have tremor. Parkinson’s disease is a very complex, neuropsychiatric, neurodegenerative disease that involves far more than just the motor symptoms, so we see there’s a whole host of non-motor symptoms that may even emerge before a patient develops their motor symptoms of Parkinson’s disease, and these include things such as anxiety and depression. Constipation, believe it or not, is actually seen very often before motor symptoms of Parkinson’s disease emerge, and for some people this constipation can be quite debilitating. And the other area where there’s just a tremendous amount of emerging evidence of non-motor, preclinical symptoms is REM sleep behavior disorder where people act out, kick, punch, talk, scream in their sleep. In fact, Ron Postuma, a neurologist from Canada, a movement disorder specialist, recently presented some data at the American Academy of Neurology that suggested that people who were diagnosed with REM sleep behavior disorder and were followed in his clinic, at 10 years 70% of those patients had developed Parkinson’s disease or Parkinsonian syndrome, so this appears to potentially be a real biomarker for Parkinson’s disease before the motor symptoms begin. Then, of course, once a patient has Parkinson’s disease, we see a host of non-motor symptoms that emerge with disease progression, and these include things again such as depression and apathy, cognitive impairment, for some patients a neurogenic orthostatic hypotension, and then probably for up to about 50% of patients at some time over the course of their disease, Parkinson’s disease psychosis, hallucinations and delusions associated Parkinson’s disease. And what’s also really interesting is we now have significant body of evidence—largely the main study that demonstrates this is something called the Sydney multicentre study—which followed over 100 Parkinson’s patients for now up to about 20 years, and what emerged from this data is after about 10 years of Parkinson’s disease, it’s these non-motor symptoms, the orthostatic hypotension, the psychosis, the depression and the dementia, that are far more debilitating to the patient than the motor symptoms are. So this really is a great unmet need in Parkinson’s. Well, Dr. Okun, how should clinicians be approaching the identification and management of these non-motor symptoms? The first and most important step is identification, so we need to ask our patients: Are you sleeping? Are you depressed? Are you anxious? Are you demoralized? Do you have any of these non-motor symptoms? And once identified, then we have to choose the right therapy, which is not always a pharmacological therapy. Sometimes it’s a behavioral therapy or exercise or pelvic floor issues for urinary dysfunction. But if patients have depression, for example, we do want to pursue potential for multiple types of antidepressants and other therapies. If patients present with other non-motor features and features that are disabling for them like anxiety, we could choose a host of different drugs from old-fashioned benzodiazepines and in some states to cannabinoids. And so, we think of this as a partnership and a multidisciplinary team approach, and there often needs to be involvement of other specialists, sometimes other medical doctors, but this could also be rehabilitation specialists, could be nutritionists, and could also be cognitive behavioral therapists for things like apathy, and so it’s not a one size fits all; but if we don’t address these things in our Parkinson patients, we’re really missing an opportunity to improve their quality of life. The other great thing I think is because there has been a focus and a recognition of how debilitating these non-motor symptoms are that there’s been some new drugs that have come along that have been very helpful in treating some of these non-motor symptoms, so specifically, not necessarily a new drug, but there’s data to suggest that specifically for Parkinson’s disease dementia, cholinesterase inhibitors such as rivastigmine, which has been demonstrated and FDA approved for the treatment of Parkinson’s disease dementia, may be beneficial. There are also some smaller studies that suggest that donepezil may be beneficial in that condition. More recently for Parkinson’s disease psychosis, which has been a major challenge for patients—in the past we’ve had to use atypical antipsychotics in an off-label fashion, and the ones most commonly used were quetiapine, but quetiapine can affect blood pressure and cause some orthostatic hypotension in our patients and can be somewhat sedating. And in fact, the evidence for it working on psychosis at least in studies is not very good, but I think anecdotally, many of us have had a positive result, so it was used. In addition, clozapine, in an off-label fashion has been used and has been demonstrated to be efficacious, but it’s associated with a significant risk of agranulocytosis and requires frequent blood monitoring, so it’s difficult to use. Most recently, pimavanserin has been approved by the FDA for the treatment of Parkinson’s disease psychosis, and one of the unique things about pimavanserin is it has a very different pharmacological profile. It only targets serotonin 5-HT2A and 5-HT2C receptors and as a result doesn’t block dopamine like the other atypicals, so you don’t have any effect on the motor function and we don’t see the similar difficulties that we see with some of the other atypical antipsychotics, so that’s been an exciting addition to our regimen. In addition, finally, with respect to neurogenic orthostatic hypotension, we’ve had the introduction of droxidopa, which is a norepinephrine precursor. In the same way that we have loss of dopamine in Parkinson’s disease, we have loss of norepinephrine, and this is thought to be associated with the development of neurogenic orthostatic hypotension, so droxidopa has been approved by the FDA specifically for the sensation lightheadedness, dizziness, or the feeling that you’re going to black out, which is how our patients describe their neurogenic orthostatic hypotension. So, again, I just think it’s an exciting time that we’re in Parkinson’s disease, that the non-motor symptoms are being recognized and we have all these new therapies that are allowing us to target them as well and improve the quality of life for our patients. Well, lastly, are there any other takeaways on Parkinson’s management that either of you want to leave our audience with today? I think it’s very important to keep in perspective that, as a clinician, when you see patients with Parkinson disease, particularly when you’re the first person to see a patient with Parkinson disease, this is going to profoundly affect the lives of the people that you touch, and it’s so important for everyone to keep in perspective and for families and for patients to walk out of those visits with hope. 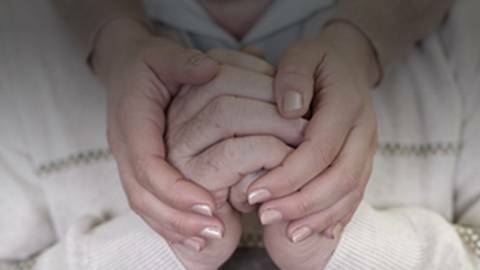 We know now that with the right treatments, both medical and nonmedical and surgical, and over time with good management, many of our Parkinson disease patients are going to live great, long, happy lives, and so when we leave them with this idea that “You have Parkinson disease” and we have this very complex spectrum of potential therapies that we can offer them, it can be confusing and overwhelming, and they can also get a little bit bewildered and think of Parkinson as a disease like Alzheimer’s disease, for example, and we know that our Parkinson patients can do well and have good, long and happy lives. And so when choosing therapies, keep in mind that your words matter, and it’s important for us to explain what they have and what they don’t have, and as we work through the disease with each individual patient, that we bring some humanity. I agree with everything Michael said, and I would just add that if at all possible, there are tremendous challenges in taking care of Parkinson’s patients, and it’s just critical to emphasize that this is a multidisciplinary approach. It has to involve far more than just the neurologist. Ideally, a movement disorder specialist could be involved—although, access to movement disorder specialists can be difficult—but certainly, every Parkinson’s patient should be involved with physical therapy, should be involved with occupational therapy, should be involved with speech, should be reaching out to creative exercise programs such as a Rock Steady Boxing program or yoga or tai chi. All of these things are so important, and we need to keep these in mind—a good, healthy diet for Parkinson’s patients because of the problems with constipation, a diet rich in fiber and hydration is so important, emphasizing good sleep habits, good sleep hygiene because of the difficulty that Parkinson’s patients have, and then, of course, not forgetting about the caregiver who has so much of a challenge to deal with Parkinson’s patients, particularly as disease advances. And if they can come to the visits and be involved, that’s just so important. So emphasizing a multidisciplinary approach with the patient at the center and then a team of allied health professionals supporting the patient is really the key, I think, to success in Parkinson’s disease. Well, these have been great insights on what’s available now and what we can look forward to down the road for taking better care of patients with Parkinson’s disease. I want to thank my guests for helping describe these state-of-the-art therapeutic strategies, Dr. Okun, Dr. Kremens, it was great speaking with both of you today. I am Dr. Andrew Wilner. Thank you for listening. The preceding activity was sponsored by Albert Einstein College of Medicine and Montefiore Medical Center and MCM Education. To receive your free CME credit or to download this activity, go to ReachMD.com/CME. This is CME on ReachMD. Be part of the Knowledge. Examine advances in pharmacologic and nonpharmacologic interventions with the potential to improve patient outcomes in Parkinson's Disease. Parkinson’s disease (PD) affects roughly one million Americans and more than 10 million people worldwide. It is a progressive neurologic disorder characterized by motor and nonmotor symptoms. Key motor symptoms include resting tremor, bradykinesia, rigidity, and postural instability. Nonmotor symptoms include psychosis, depression, anxiety, impulse control disorders, cognitive impairment, and sleep disturbances. Significant progress has been made in the management of motor and nonmotor symptoms experienced by patients with PD. This activity will examine advances in pharmacologic and nonpharmacologic interventions that are improving patient outcomes for this incurable condition. No conflicts of interest to disclose. Presented by Albert Einstein College of Medicine & Montefiore Medical Center, Center for Continuing Medical Education, and MCM Education. The opinions expressed in this educational activity are those of the faculty and do not necessarily reflect the opinions or recommendations of their affiliated institutions, the publisher, Albert Einstein College of Medicine & Montefiore Medical Center, Center for Continuing Medical Education, Acorda, Biogen, Lundbeck, US WorldMeds, or Medtronic. Any medications, diagnostic procedures, or treatments discussed by the program presenters should not be used by clinicians or other health care professionals without first evaluating their patients’ conditions, considering possible contraindications or risks, reviewing any applicable manufacturer’s product information, and comparing any therapeutic approach with the recommendations of other authorities. Review the efficacy and safety of current and emerging therapies for managing the motor symptoms of PD. Review the efficacy and safety of current and emerging therapies for managing the nonmotor symptoms of PD. Incorporate currently-approved pharmacologic and nonpharmacologic therapies for the management of PD into individualized treatment plans for patients with PD. This activity is supported by educational grants from Acorda, Biogen, Lundbeck, US WorldMeds, and Medtronic. ACCME ACCREDITATION STATEMENT: This activity has been planned and implemented in accordance with the requirements and policies of the Accreditation Council for Continuing Medical Education (ACCME) through joint providership of Albert Einstein College of Medicine, Montefiore Medical Center, and MCM Education. Albert Einstein College of Medicine is accredited by the ACCME to provide continuing medical education for physicians. ACCME CREDIT DESIGNATION STATEMENT: Albert Einstein College of Medicine designates this enduring material for a maximum of 0.5 AMA PRA Category 1 Credit™. Physicians should claim only the credit commensurate with the extent of their participation in the activity. How Close Are We to Revealing the Etiology of Parkinson's Disease?